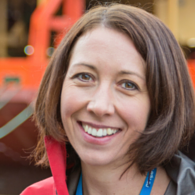 Dr Vanessa Lucieer is Senior Research Fellow at the Institute for Marine and Antarctic Studies. Her research profile focuses on two national projects: the ARC Special Research Initiative- Antarctic Gateway and the National Environmental Science Program (NESP) Marine Biodiversity Hub. Vanessa is the deputy leader of the Ecology and Biodiversity program, which represents a multidisciplinary group of colleagues. In particular her research focus is on the development of spatial analysis methods for translating remotely sensed data into information that be utilised to understand marine environments. The applications of her techniques have been applied to coastal rocky reefs in shallow temperate ecosystems to under sea ice in Antarctica to the seabeds of the fjords of Norway. Dr Lucieer joined the former Tasmanian Aquaculture and Fisheries Institute in 2000 to develop a method for mapping Tasmania's marine protected areas. This research grew into the SeaMap Tasmania Project which she managed from 2005-2009. Over the course of several years Dr Lucieer worked with her team to map over 10 000 km2 of shallow coastal seabed in Tasmania. Since 2007 however, she began to extend her research into deeper shelf waters off Tasmania, Western Australia, Victoria and New South Wales through the federally funded Marine Biodiversity Hub. Dr Lucieer is now actively working on benthic mapping research projects in Canada, Norway, New Zealand and Antarctica. Vanessa's role in research currently encompasses three broad areas 1) Scientific and Research Coordinator of the Antarctic Gateway Theme 4- Development of a polar capable AUV; 2) Research coordinator and spatial analyst on the Marine Biodiversity Hub evaluating and monitoring the status of marine biodiversity assets on the continental shelf and; 3) Supervision and teaching of HDR candidates at the Institute for Marine and Antarctic Studies. The diversity of roles that Vanessa engages in is a reflection of the multidisciplinary nature of marine surveying. Marine surveying is a foundation discipline that generates knowledge to answer specific questions about understanding our marine environment. 2015- current: Arts-Science Lab Coordinator at IMAS. Vanessa has experience teaching across a range of spatial science areas in both the lecture theatre and field based settings in areas such as marine geoscience, acoustics and seafloor classification and biodiversity assessment. Jan 2009 - June 2011: Research Group Leader and Postdoctoral Research Fellow on the Commonwealth Environmental Research Program (CERF) Tasmanian Aquaculture and Fisheries Institute, University of Tasmania. March 2005 - Dec 2008: Research Group Leader Habitat Mapping and Assessment. Principal project leader of seabed habitat mapping research team. Jan 2001 - March 2005: Research Assistant Habitat Mapping and Assessment: development of innovative methodologies for marine habitat mapping. October 2018: Invited Presentation: Seabed 2030 Atlantic/Indian Oceans Regional Mapping Committee Meeting. Australian Seabed Mapping Update. Lamont-Doherty Earth Observatory Campus, Palisades, New York October 30th - November 1, 2018. September 2017: Keynote Presentation: 'Taking innovative technologies beneath the waves: using hyperspectral imaging to enhance sea ice ecological research', The Antarctic frontier: developing research in an extreme environment: Program, Australian Academy of Science Forum. 13-15 September 2017, Hobart, Tasmania. April 2017: Invited Presentation: ‘Uncertainty quantification, false detections and confidence in results’, Catalyst International Watercolumn Backscatter Workshop. 25-28 April 2017, Rennes, France. October 2016: Invited speaker ‘'Emerging mapping techniques for AUVs as survey platforms', Ekman foundation course on AUV-based science abstracts, 07 October, Kristineberg research station. Sweden. Improving our understanding of the seafloor using remotely sensed techniques. Using acoustic data to model seafloor geomorphology with estimates of error and uncertainty which can be used to detect change on the seafloor. Dr Lucieer's research aligns to the University's research theme of Marine, Antarctic and Maritime. She has 17 years of experience in developing marine spatial analysis techniques for seabed mapping. She has experience in field data acquisition from ships and autonomous underwater vehicles, in data processing, to project management and communications. She has a number of research publications and reports and is internationally recognised in the field of benthic marine habitat mapping and seabed surveying through a number of invited presentations and collaborations. Synthesising acoustic data (bathymetry and backscatter) into spatial layers to be utilised in modelling and mapping of marine habitats is the focus of her current research. The importance of seabed data such as bathymetry has been acknowledged by mariners, ocean modellers, marine geologists, ocean engineers and others who work on or by the sea, but among the general public only the boating community understands the importance of knowing water depths and the shape of the seafloor. The accuracy of seabed data is critical to reliable forecast models in planning for marine disasters caused by tsunamis and storm surges and large wind waves due to storms, for marine biodiversity planning where seafloor geomorphology can act as a proxy for marine habitats and in mapping for marine discovery by characterising seafloor habitats. It has commonly been quoted that the oceans are '95% unexplored' and that we know more about the surface of the moon or mars than the ocean floor. But what do we mean by unexplored? The entire ocean floor has been mapped to 5 km resolution by scientists using satellites to estimate the landscape of the seafloor and reveal feature of the Earth's crust beneath seafloor sediments. As long as these features are greater than 5km across they can be identified. What we have not achieved is mapping at a resolution that can allow us to understand the distribution of biologically significant habitats on the seafloor. Prediction modelling makes some progress in improving our understanding of particular habitats for some species based on bathymetry- but there is yet much more to explore and learn about our global seabeds. This understanding is the goal of Dr Lucieer's research and the foundation of the international studies that she contributes to. Vanessa regularly publishes papers on topics related to marine survey, seabed mapping, spatial analysis, marine protected areas, innovative methods for marine remote sensing, GEOBIA and marine acoustics. She regularly acts as a reviewer for journals including Diversity and Distributions; Estuarine, Coastal and Shelf Science; International Journal of Remote Sensing; Polar Biology; Journal of Biogeography; Marine Geology; and PLOS One. 2014: UTAS Strategic Funding. $180k 'Towards the challenge of ice-covered environments: Faculty development for autonomous underwater vehicles'. Central funding for a 'Lab Facility Manager' to manage the GAVIA AUV for research, teaching and consulting goals. This research will apply quantitative metrics to standardise classification of geomorphic features on targeted surveys across the Great Australian Bight (GAB) and an additional two surveys in Southern Tasmania. The deliverables will be spatial products and spatial statistics for the survey regions. The Australian Research Council funded Antarctic Gateway Partnership (AGP) is addressing strategic science questions about Antarctica and the Southern Ocean. The development and application of multi-million dollar, innovative Autonomous Underwater Vehicle (AUV) technology as part of the AGP will enable collection for the first time of data which is vital to understanding the physical, chemical and biological processes at work around and under Antarctic ice. This will lead, for example, to much better estimates of ice sheet contributions to sea level change. This project will enable the first deployment of a new Explorer AUV in Antarctic oceans. This deployment to Davis Station will facilitate the testing and trials of the vehicle in a series of stages; commencing in open water and culminating in under ice-shelf missions. Operational trials of the AUV platform in Antarctic environments is critical to the development of the Australian capability in polar science. New miniature sensors on-board airborne and underwater drones are revolutionising the way in which we collectinformation about the environment. Sensor calibration and characterisation is critical to the accuracy of hyperspectral and thermal data products, however, there is no central facility in Australia for this purpose. The aim of the project is to establish a calibration facility for the radiometric and spectral correction of hyperspectral and thermal sensors for ultrahigh-resolution remote sensing. The expected benefit to the Australian and international remote sening community is to significantly advance our capacity to collect high quality data and enable accuratemonitoring of our dynamic environments in unprecedented detail. New Zealand has sovereign rights over 4,000,000 km2 of ocean in which resources (fish, minerals, hydrocarbons, energy) are vast and mostly unquantified. The project will enhance our capability to characteriseand manage this natural capital using marine acoustic technology. We will develop protocols and methodologies for identifying and quantifying features such as gas seeps, oil leaks, vegetation and freshwater springs in the ocean using acoustic data collected by modern echosounders. We will establish a long-lasting multidisciplinary research consortium of internationally recognised experts in marine acoustics and geophysics, spatial analysis and ocean environment, from New Zealand (NIWA), France (Gosciences Rennes, IFREMER), Germany (GEOMAR) and Australia (IMAS), to share data from various natural and controlled sites and share knowledge and expertise developed from years of research. The aim is to stimulate the development of a truly international and collaborative research programme with articulated goals and tangible outcomes to examine water-column backscatter data. Through two workshops we will lay the foundation for a larger externally funded research project that will develop innovative methods for identifying and quantifying natural and man-made acoustic back-scatterers. This will provide considerable economic, environmental and cultural benefit to New Zealand by improving its capacity to manage the marine environment. The predicted loss of annual Antarctic sea ice (est. between 17% - 31%) within the next century will influence the ecological integrity of the Southern Ocean. Sea ice supports a unique assemblage of microorganisms that underpin Antarctic coastal food-webs, but reduced ice thickness coupled with increased snow cover will modify energy flow and trophic dynamics in ways that are difficult to predict. This project will deploy state-of-the-art biosensors to track environmental stress in sea ice microbial communities. This in situ surveillance system will generate unique baseline data against which future changes in ecosystem structure and function can be measured. Accurate navigation under both drift and stationary ice is one of the key unanswered questions in polar marine science and engineering. The primary aims of this project are to (1) estimate INS drift and calibration times; and, (2) test the integration of acoustic positioning methods in an INS within a drifting and rotating frame of reference. This project will develop error propagation models at increasing latitudes and test the use of a non-stationary, ship borne acoustic positioning network on a small (<3 m) AUV. Both are critical for robust, accurate and reliable AUV operation under-ice. This grant is for travel funding only. It will facilitate two Theme 4 staff to travel to meet with Cellular Robotics. The meeting will be held in Canada in November 2016. The discussion will relate to the University of Tasmania's polar class, deep-water Autonomous Underwater Vehicle and how, through a strategic partnership with Cellula Robotics, we can develop a design for physical seafloor sampling technology. Collaborative project between IMAS and TCotA to explore new ways of communicating ideas about the unknown and unseen environment of the ocean. This study will determine the biological and physical drivers of the distribution and abundance of top predators in southern Storm Bay, Tasmania. We will conduct fortnightly boat-based surveys of predators and the zooplankton prey fields, as well as characterise the habitats using hi-resolution multi-beam sonar and ocean profile data. This proposal addresses how to obtain better information on sea ice properties to improve quantification of ecosystem properties and processes, to test models of ice dynamics and monitor changes in ecosystem dynamics. With increasing focus on the role of Antarctic sea ice in global processes, use of new technologies to make robust, cost-effective measurements at appropriate spatial scales is increasingly necessary. This project uses an UAV to obtain and use data that will transform our spatial understanding of sea ice and its biological communities. The aim of this research is to assess whether an Autonomous Underwater Vehicle (AUV) mounted with visual and acoustic systems could provide both a specific research advantage in assessing seabed habitats and provide a cost-effective tool to improve current environmental monitoring. Vanessa has successfully supervised students working on research thesis in a range of fields from remote sensing of kelp, acoustic identification of urchin barrens, inland lake mapping and biodiversity hotspots. She is very keen to hear from students interested in examining the links between the physical environment and biology to understand spatial patterns in ecology.